Lynn Flores, Bank Manager of Bridgeview Bank Oswego, has been serving the Oswego Community for over 27 years. She started her career at a local community bank and through her dedication to serving her customers and never settling for the status quo, she was promoted to a bank manager in 1999. With that responsibility, she became more involved in the Oswego Community.  Lynn currently serves as Vice Chairman of the Oswego Chamber of Commerce. In this role, Lynn works on committees for the Oswego Hometown Expo, Inspiring Women of Oswego, and helps with planning of the Annual and New Member Dinner events. She is also the Board President of our local Interfaith Food Pantry, and one of the founding chamber members of the leads group known as L.I.N.K.S. that meets every Friday morning. Throughout the year, the entire Bridgeview Bank Oswego team can be found volunteering for and attending before and after work events sponsored by the Oswego Chamber of Commerce. These include ribbon cuttings for new businesses opening in our area, and business after hours events – where they get to know proprietors, and other Oswego business owners. We are also involved in several other organizations in the Oswego and Fox Valley areas.